Saltators, saltpotaters, salt n peppa, saltasaywhat? “Saltator” is another one of those “intriguing” names for certain bird species that live in Costa Rica and the Neotropical region. It’s a funny name for birds that sort of look like a missing link between tanagers and cardinal grosbeaks but I guess it fits. Although in Latin, “saltator” means “jumper”, these birds aren’t doing any kangaroo imitations. They pretty much act like tanagers, grosbeaks, or any other average arboreal bird that does not do a significant degree of terrestrial jumping, hopping, nor springing. 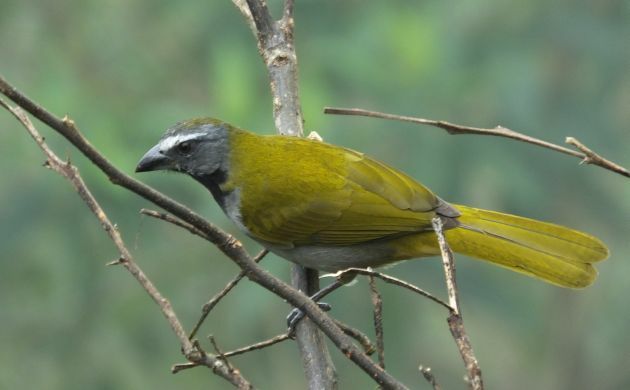 Nevertheless, whether by way of getting accustomed to the word or because it sounds more soft and poetic than the cumbersome “cardintanager” or pharmaceutical sounding “tanadal”, “saltator” works for these big-billed, long-tailed, fun birds to watch. In Costa Rica, five species can be found, one of which used to masquerade as a non-saltator on account of its big orange bill, sweet voice, and canopy ways until mDNA revealed its true evolutionary heritage. Nevertheless, that bird, the Slate-colored Grosbeak, makes me wonder if the saltators just might end up being cardinals because one of its calls sounds a lot like a Northern Cardinal’s, and it shares a big, bright orange bill. Buff-throated Saltator: This bird is quite successful. In evolutionary terms, this means that it’s common over a pretty big range. Bird at just about any humid forest or second growth site in Costa Rica up to 1,500 meters in elevation and you will probably see a few. You will also hear its high-pitched calls (that sound kind of like those of a Gray-headed Tanager), and short, warbling song. Sometimes you don’t see the buff throat. 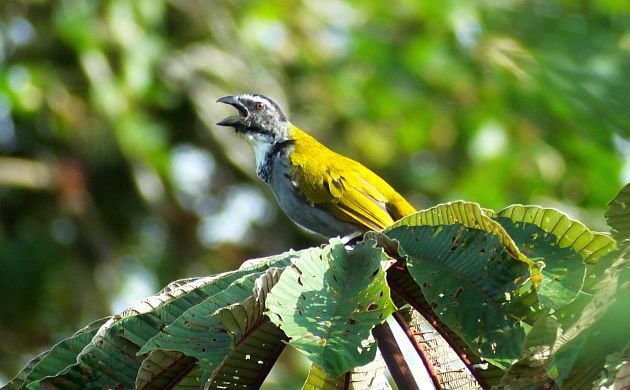 Black-headed Saltator: This Central American specialty is a true monster. 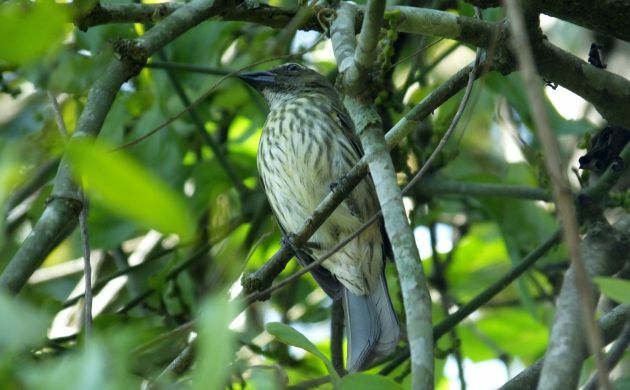 Around the same size as a big thrush, it flops around in second growth but just hates to come out into the open. Wary that hawks might lick their sharp beaks see it as a big, tasty meal? Self conscious of its extra large size? 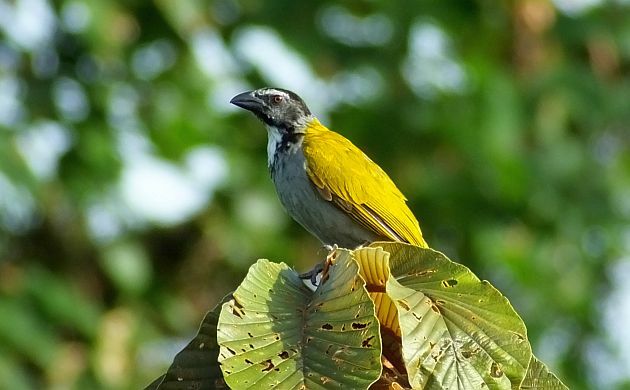 Anything goes with the Black-headed Saltator. In Costa Rica, it’s fairly common in humid second growth on the Caribbean slope and has capitalized on its dimensions to recently colonize the Central Valley. 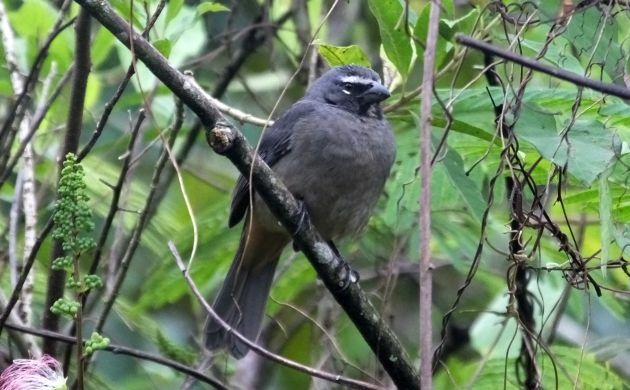 Grayish Saltator: Another common, widespread species, in Costa Rica, the Grayish Saltator is a bird of gardens and second growth. Deforestation has facilitated its expansion to many parts of the country. I hear this bird singing just about every morning. Streaked Saltator: This one is more of a South American species but can still be encountered in many parts of southern Costa Rica. 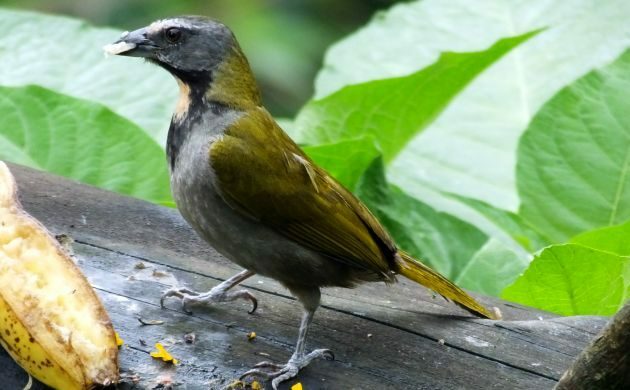 The Streaked Saltator does indeed have streaks, at least in Costa Rica. Fortunately, if you like saltators, they are also pretty easy to see when birding in Costa Rica. Unlike the master skulking antpittas, rodent performing tapaculos, and the cool weirdo foliage-gleaners, saltators visit feeders, gardens, and are pretty common. Where Are You Birding This Third Weekend of August 2016? Where Are You Birding This Second Weekend of December 2014?